Is it too early to talk about Christmas? 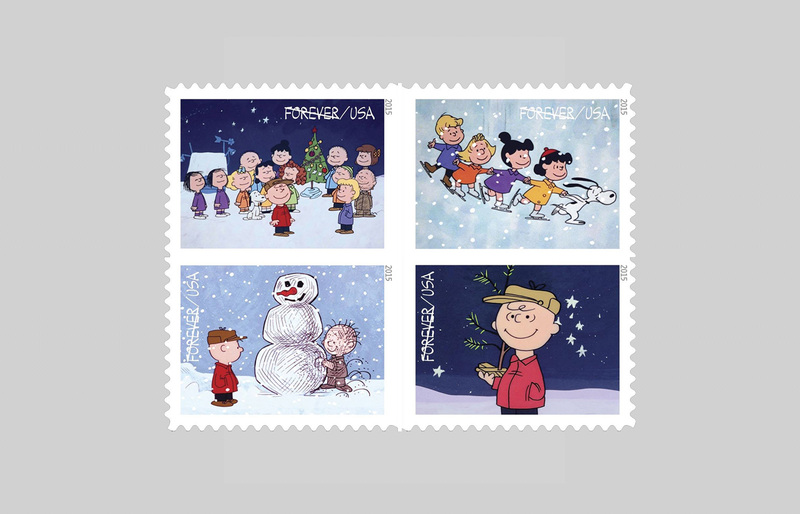 Even “A Charlie Brown Christmas?” These stamps were announced earlier this week and will be on sale starting October 1. In designing these, we used artwork from the original television special, which aired first 50 years ago and has been broadcast every year since! We thought it might be our first opportunity to appropriately use Comic Sans, but ultimately we used a special font created from Charles Schulz’s original lettering. We can’t wait to start sending our holiday cards! Let us know if you want to be added to the mailing list.